As you learned on the show today, President Obama acknowledged over the weekend that students in the US take too many standardized tests, and this excessive testing is not only stressing out students, but also increasingly worrying parents and teachers. The president announced plans to cut down on the time students spend taking tests, saying that standardized testing should not take up more than 2 percent of classroom time. A new study shows that standardized testing “has exploded in the past decade,” leaving the average eight-grader in the US today spending about 25.3 hours during the school year taking standardized tests. 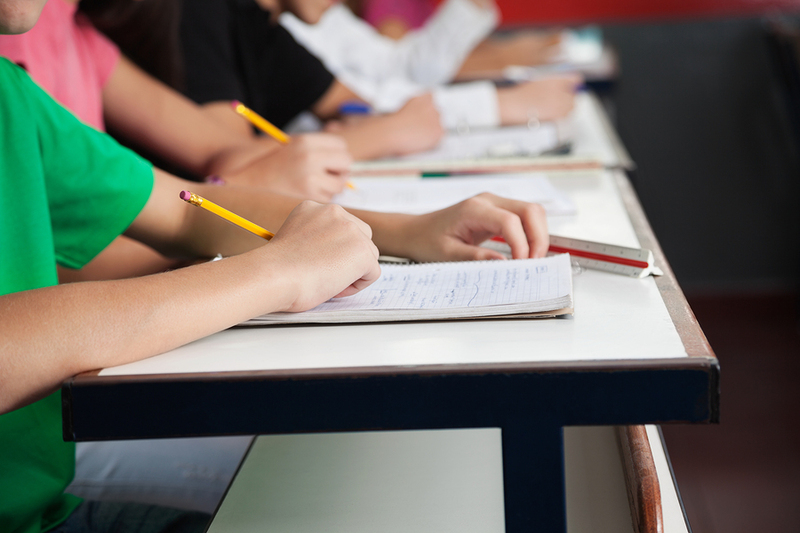 We want to hear from you: Do you think you take too many standardized tests? Vote and tell us what you think in the comments section below. We will feature the results of the poll and some of your comments on the show. Yes,these tests are too much, and are stressing me out! Yes, because most of the things we learn we wont need to know the rest of our live. We have lots of tests in one week I don’t think I can survive the whole school year!!! Yes we do take to many standardized test because in high school we rake 5 state tests our 9th and 10th grade year. I think we take to many standardized tests. Some schools take a quiz for almost every two chapters in a book. Its stressing and some people forget to read the chapters because they think to much about it. hi im am new to this I really enjoy watching your shows they help me in science class and I get my current event done from your website it is the best u all are great news reporters I will be watching all your shows from know to the end of 8 grade!!!!!! Honestly, its ridiculous! Escpically if your a bad test taker like I am errrr! YESSSSSSSSSSSSSSSSSSSSSS! Way too many! we’re just human beings. Yes we take way to many tests! If anything we should only take one big tests, rather than a bunch of little tests!